It is definitely very disturbing to see the likes of Mysearch123.com set as your default homepage when you open your browser. This violation occurs when you get infected with a browser hijacker. Now you may have not noticed how Mysearch123.com slithered into your computer, but at least now you have the chance to remove it. Please take note that removing Mysearch123.com and similar browser hijackers might be tricky, especially if you are not an experienced computer user. Therefore, it is strongly recommended that you acquire a legitimate antimalware tool that will do the job for you automatically. You have to do everything in your power to protect your system from harm. Browser hijackers are not to be taken lightly. Mysearch123.com might look like your average search engine, but if you let it be, it will spam you with unreliable commercial content that can eventually result in a malware infection. There is a good chance that you will click the search results provided by Mysearch123.com because the hijacker collects information on your web browsing habits and so it knows what kind of content you would find interesting. If you do not remove Mysearch123.com immediately, the risk of malware infection will continue to grow. Naturally, Mysearch123.com does not really download and install malware onto your computer itself. You can think of this infection as a tool. This tool can be used by malevolent third parties to spam you with unreliable links, and some of those links might as well redirect you to malware-related websites. In other words, if you keep on using this search engine without any second thoughts, it is only a matter of time until your web browsing history gets leaked to cyber criminals. Eventually, you could even fall for a financial scam, and that is definitely something everyone wants to avoid. The good thing is that we know where to start with Mysearch123.com removal because we know where this browser hijacker comes from. If you take a closer look at its interface, you will see that the site’s layout is identical to luckysearches.com and luckybeginning.com. These browser hijackers have come from the Qone8 Virus family, which includes a variety of browser hijackers that are highly intrusive and difficult to remove. They modify your browser settings without your permission and then slow down your browser as they track your web browsing and redirect you to unfamiliar websites. There is something you need to take into consideration when it comes to Mysearch123.com. It is true that this browser hijacker is a computer infection, but this dangerous program would not have entered your PC if you have not been downloading freeware on a regular basis. Any website that has a lot of pop-ups, download buttons and what have cannot be trusted, so if you have recently downloaded some freeware app from such a website, it is very likely that Mysearch123.com came along with it. You have to solve this problem at once before it evolves into something worse. Check out our removal instructions below this description. It should be enough to remove the main hijacker’s symptoms. However, there might be other infection files that cannot be deleted just like that, and that is why it is always a good idea to rely on a legitimate antispyware scanner. If you think that removing Mysearch123.com on your own is too much of a task for you, please do not hesitate to contact us. Open Uninstall a program and remove Mysearch123. Go to Uninstall a program and remove Mysearch123. 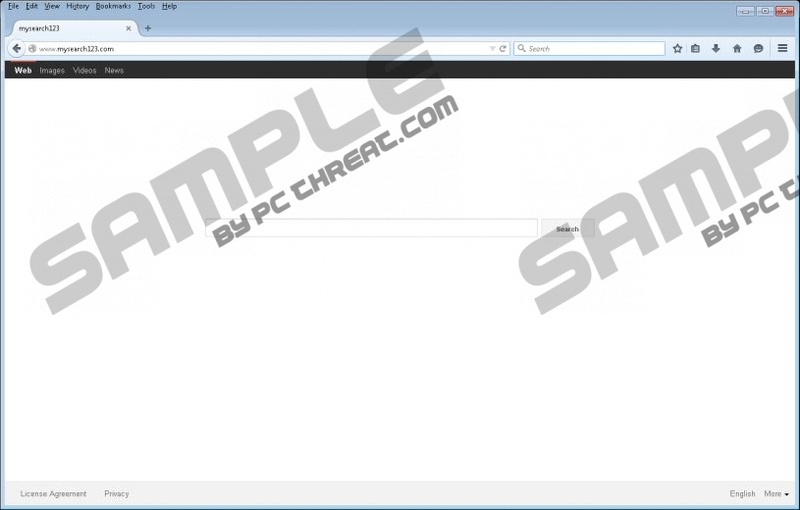 Select Add or remove programs and uninstall Mysearch123. Scroll down and select Show advanced settings. Scroll down once more and click Reset settings. Quick & tested solution for Mysearch123.com removal.